What happens to Apple hardware when the company turns its back on its creation? The hardware hits the streets for a life of crime. That's the sad story of this 5th-generation iPod Nano who was caught by the police aiding in a ATM skimming scheme. 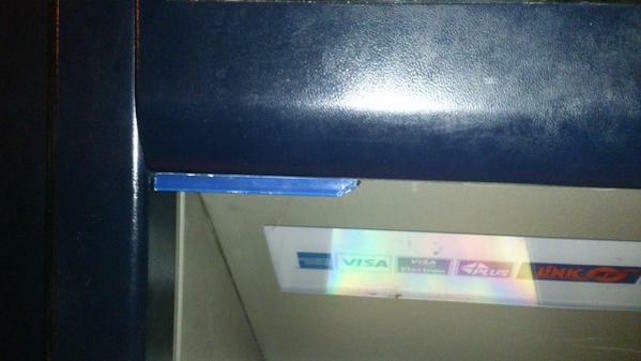 Thieves attached the Nano to an ATM with duct tape, then used the Nano's camera to capture video showing ATM users entering their PIN numbers. While it grabbed video, a skimmer attached to the ATM card reader recorded users debit card numbers. Stay mindful of any odd objects attached to or around your ATM -- it may save you from having your information or money stolen down the line. We can only hope that this poor iPod Nano can be rehabilitated and placed in a good home with a child who needs a solid MP3 player of her own.